"Whereof the Holy Ghost also is a witness to us: for after that he had said before"
Benjamin Brown was born September 30, 1794, in Queensbury, New York. 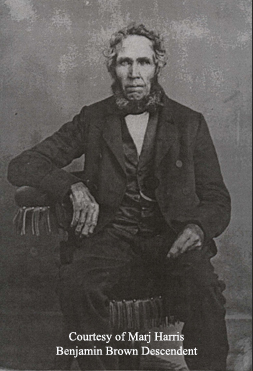 His father, Asa Brown, was a farmer and land speculator. Benjamin wasn't raised with in any formal religion, regularly read the bible. He described himself as having an pure an innocent knowledge of the bible without interference from different interpretations. He said that the idea that revelations from God or gifts from the spirit were not possible was a foreign idea to him. He didn't seek out a sect to join until he was about 15. He said after that he started losing his simple ideas about God after he started listening to the sermons and teaching of various priests and pastors, then (as he put it) his beliefs became complicated. He spent the next ten years bouncing from church to church, seeking what he felt would be the truth. In 1819, at the age of 25, he married Sarah Mumford and settled a farm of his own. During this time he recounts a vision that he experienced one night while relaxing next to the fireplace. He saw a vision of his brother, who had died in 1804, praying. He could hear his brother say that a great work was to be done on the earth during the last days, and quoted a few bible passages. The vision of his brother vanished and he felt a rush of wind hit him and a voice say, "This is understanding." He heard is wife's voice behind him and the vision ended. Benjamin said that the vision left him with a sense of hunger that he would use as a measuring point for any religious experience he later had. I personally think he was more open to visions and spiritual experiences because he had the faith that he could have them. He never let himself be convinced that they could never happen. In 1833, while continuing his search for a church that included the gifts of the Spirit, he visited a Latter-day Saint meeting. He said he enjoyed his experience because he saw the gifts manifested and he felt his hunger satisfied, but he still wasn't convinced he wanted to join that particular sect. The next few paragraphs are his account of what happened next. It's quite a fascinating account, so I'm going to include it in it's entirety. "However, I procured a Book of Mormon, and took it home to read, determined to investigate until I was fully satisfied. But I had scarcely begun to read, before I felt greatly to dislike the book. Ere I had perused ten pages, I rejected it altogether. Acting in this bigoted manner, I had resigned myself to the evil influence that was gaining power over me, so that, directly after, I felt a similar dislike seize me towards the Bible. Its statements of miracles, etc., appeared to me to be compounds of the grossest absurdity possible. I could see no light or good in it at all! and actually resolved never to read it again! But, oh! the darkness that seized me as soon as I had made this resolution! The light that was in me became darkness, and how great it was, no language can describe. All knowledge of religious truth seemed to forsake me, and if I attempted to quote scripture, my recollection failed, after the first word or so! So remarkable was this, that it excited reflection, and caused me to marvel, and finally I determined to repent of my resolve respecting the Bible, and I commenced to read again. "The book was hardly in my hand, when, as in a moment, my light and recollection returned as usual. This made me rejoice, and immediately the idea flashed across my mind, "What have you done with the Book of Mormon? Behave as fairly to that." I soon re-procured it. But, even this time, I felt prejudiced against the book. I resolved, however, to read it through, and I persevered in its perusal, till I came to that part where Jesus, on visiting the continent of America, after his resurrection, grants the request of three of the twelve whom he had chosen, to permit them to live until his second coming on the earth (like unto John spoken of in the Bible). Here my mind half yielded to the belief which arose within me, that perhaps it might be true, whereupon I took the book and laid it before the Lord, and pleaded with him in prayer for a testimony whether it was true or false, and, as I found it stated that the three Nephites had power to show themselves to any persons they might wish, Jews or Gentiles, I asked the Lord to allow me to see them for a witness and testimony of the truth of the Book of Mormon, and I covenanted with him, if he complied with my request, that I would preach it even at the expense of my life, should it be necessary. "The Lord heard my prayer, and, about five days after, two of the three visited me in my bedroom. I did not see them come, but I found them there. One spoke to me for some time, and reproved me sharply on account of my behavior at the time when I first attended the meeting of the Saints, and treated so lightly the gift of tongues. He told me never, as long as I lived, to do so again, for I had grieved the Spirit of the Lord, by whose power that gift had been given. This personage spoke in the Nephite language, but I understood, by the Spirit which accompanied him, every word as plainly as if he had spoken in English. I recognized the language to be the same as that in which I had heard Father Fisher speak at the meeting. Such a rebuke, with such power, I never had in my life before or since, and never wish to have again. I was dumb before my rebuker, for I knew that what he said was right, and I felt deserving of it. "How these men went, I do not know, but directly they were gone, the Spirit of the Lord said to me, "Now, you know for yourself! You have seen and heard! If you now fall away, there is no forgiveness for you." Did I not know then, that the Book of Mormon was true, and that Joseph Smith was a Prophet of the Lord? Surely I did, and I do now, as surely as I know that I live." Obviously he ended up joining the church or I wouldn't be including him on this page. However he didn't join for another year and a half because of objections by his wife. In 1835 he was baptized but his wife still wasn't. 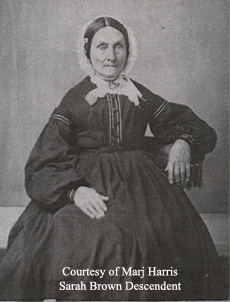 She wouldn't be baptized until 1838. Both would remain faithful members for the rest of their lives. So okay, Benjamin did not see or have any experiences with the gold plates, but I think my reason for including him on this page is pretty evident. If the plates didn't exist, his account would have never happened. He died May 23, 1878, at the age of 83.